This is review No. 3 of four in the second round of our competition. Each review will compare four burritos, with my favorite advancing to the third and final round. The Jalapeño Quadrant of the Burrito Bracket is stacked. 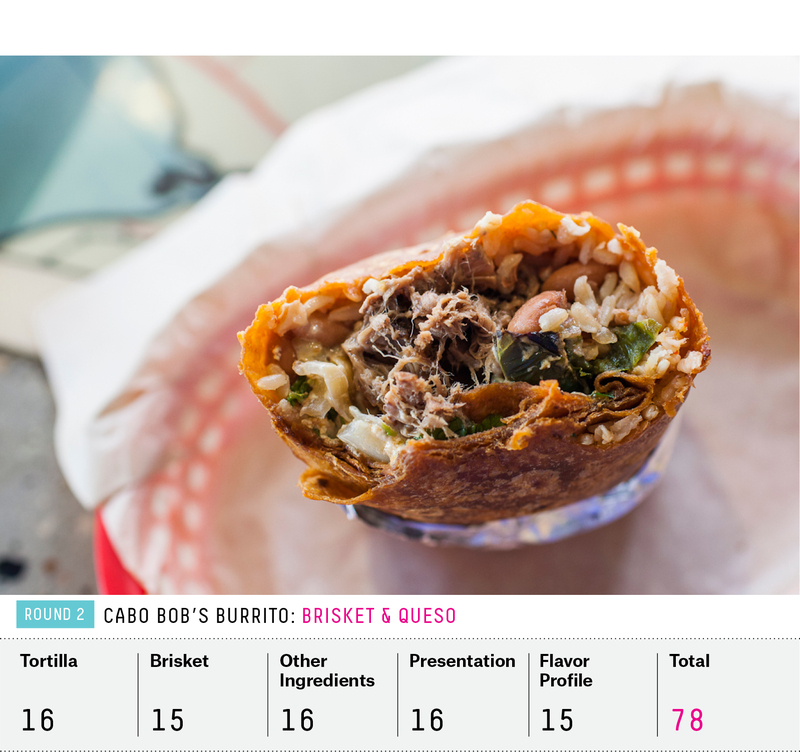 It contains the highest-scoring burrito from Round 1, the burrito Nate Silver thinks of as the unofficial winner of the original burrito bracket, and a surprise knockout Southern burrito. While San Francisco’s La Taqueria received the highest score in Round 1, some of my fondest memories of the first 64 burritos were born in a tortilla shop in Lexington, Kentucky. This week, these two burritos go head to head. It’s a special kind of restaurant that can have three locations on the same block and keep them all in business. La Pasadita’s empire on the 1100 block of North Ashland Ave. has been there for nearly 25 years, thriving. The first location was opened 37 years ago by David Espinoza and his wife in a rented building. When a property went up for sale a few years later, just down the block from the original, the couple purchased it as protection against increasing rents in the area. Then another restaurant building on the block hit the market, and the family sat down for a meeting. “We decided, if there’s going to be competition, it should be us,” said Espinoza’s son, also named David, who has run the restaurants for 20 years. It wasn’t until a year ago that the landlord raised the rents so high the family decided it was time to let the original location go. The building still bears La Pasadita’s emblem and signage on its brick exterior, serving as an advertisement for the two remaining locations half a block down. La Pasadita is known for its steak, rich carne asada usually cooked to just barely pink on the inside, with a molasses brown exterior. Espinoza says it’s not rocket science; the secret is in the grill. “That grill has been with me forever. If a little piece breaks off, I repair it,” he said, explaining he has had it for over 25 years. The menus vary slightly, but Espinoza says people tend to stay loyal to the first location they visit. Though the majority of the food is made in one kitchen, and only the last stages of preparation are done at the individual restaurants, he says many customers feel strongly that the food is better at one place or the other. The origin of this carne asada burrito lies in a corn tortilla. Espinoza says it’s really just an oversized steak taco, a dish traditionally served with onion and cilantro, the same ingredients in this meat-heavy burrito. 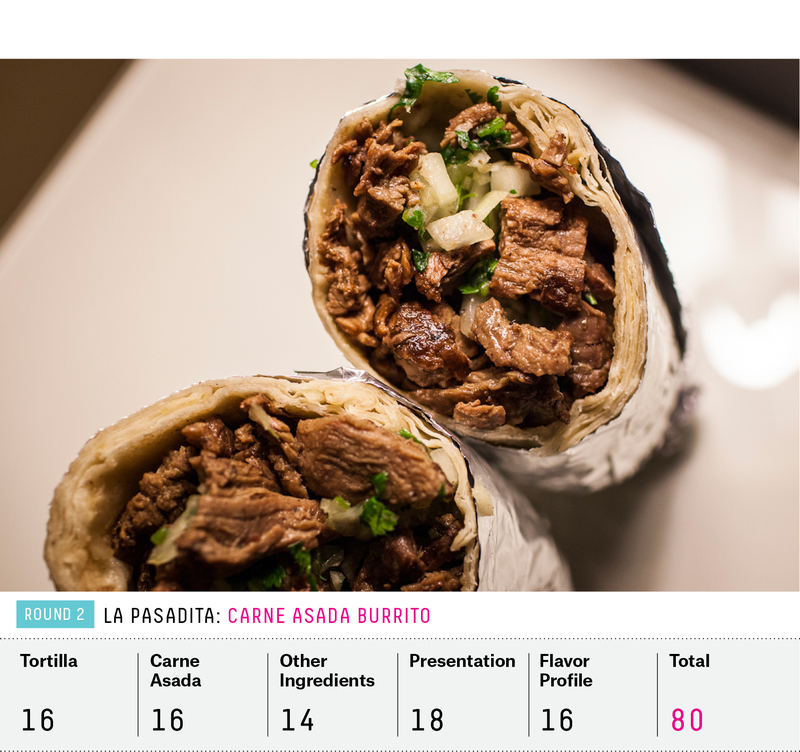 That carne asada is what put La Pasadita in the lead of the original burrito bracket. Although Nate never finished that venture, he says he thinks of La Pasadita as the unofficial winner. And so I descended upon La Pasadita with the bulk of my immediate family and a few friends on a recent Saturday night. I am sorry to report that the burrito wasn’t up to its usual snuff. A burrito so reliant on a single ingredient is bound to have its off days, and on this trip, the carne asada was missing its magic. The meat was tough and lacked the beautiful char that makes it sing with glory on its best days. The cilantro was limp, but finely diced onions were full of flavor, offering some redemption. The tortilla was as delicious as ever, but at this stage in the bracket, it would be unlikely for this iteration to beat out the heavy hitters in the quadrant. Don Brinkman had lived in San Diego and Baja California, going to school and surfing. John Stepan had worked as a chef in various high-end restaurants around Austin. Both men were looking for a new culinary adventure when a family friend introduced them. They hit it off immediately. Their first round of restaurant ideas involved seafood, a high-end steakhouse and an “ESPN Zone-type place.” But what they really wanted was to create a space that was laid back and relaxing, with a nod to their beloved Pacific Coast. “And you can’t go wrong with tacos and burritos,” according to Stepan. So began Cabo Bob’s Burritos. To create the recipes, they took on the enviable task of traveling to Mexico to eat. “We took some R&D trips to Baja to soak up the vibes,” Stepan told me, laughing. He fell in love with the salsas, marinated cucumbers (which inspired his “cucumber mango pico”) and the simplicity of fresh fish served on a tortilla. These became the basis for the menu. The partners weren’t fans of the gummy, flavored tortillas and wraps that have become popular, but they liked the color they added, and wanted to create something that would complement the fillings. Where green means spinach in most restaurants, it’s tomatillo and cilantro at Cabo Bob’s. Red isn’t sundried tomato, it’s ancho chile. They planned to make them ahead of time and steam them to order, but then they got the rotating grill inside the restaurant and realized it was a great addition to “the show,” according to Stepan. Their focus on quality ingredients is also on display. Soft-drinks are free of high fructose corn syrup, and organic produce is served whenever possible. While fish tacos and burritos were the starting point for the menu and are the most popular items, the brisket and queso was the big winner for me. The burrito is a nod to Texas, where both items are popular and abundant. Stepan rounded out the pair with pinto beans, spicy sauce and poblano peppers to give it a taste of Mexico. Withering in the thick humid air, I opted to sit inside during my lunchtime visit for Round 2. I remembered being surprised by the depth and inventiveness of the flavor combination on my previous visit, but was curious how this burrito would stack up against the greats that had advanced past the first round. 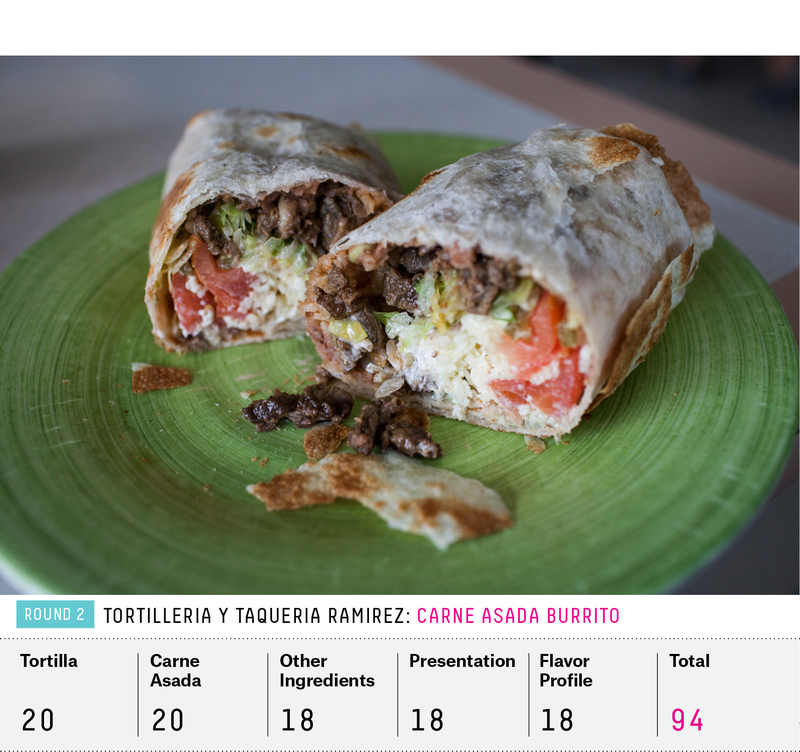 Its Round 1 score of 74 had made it the lowest-scoring burrito to advance. This time the burrito was doused in a ladle full of the silky, pale queso. Hunks of brisket too big to bite through were piled throughout, overpowering the subtlety of the smoky, chile-infused tortilla. Strips of lawn green poblano lay in a bed of brown rice, the latter adding a bit of crunch. I asked for extra Salsa 66, and still wished for more heat. Is it the best burrito in America? Definitely not. But everything about this burrito is good, and an appropriate nod to Austin’s culinary traditions. When Patricia and Alberto Ramirez first arrived in the United States from Guadalajara 30 years ago, she cleaned houses and he worked at horse stables. They’d come to Kentucky to join his brother, who’d been there for several years. The couple was working five to six days a week and Patricia was pregnant with her third child; they were both ready for a change. They had saved a little money, and when they found out a friend was getting ready to sell his restaurant, they grabbed it. That was in May 1997. The family has since opened multiple restaurants, mainly focusing on Tex-Mex and American cuisine. 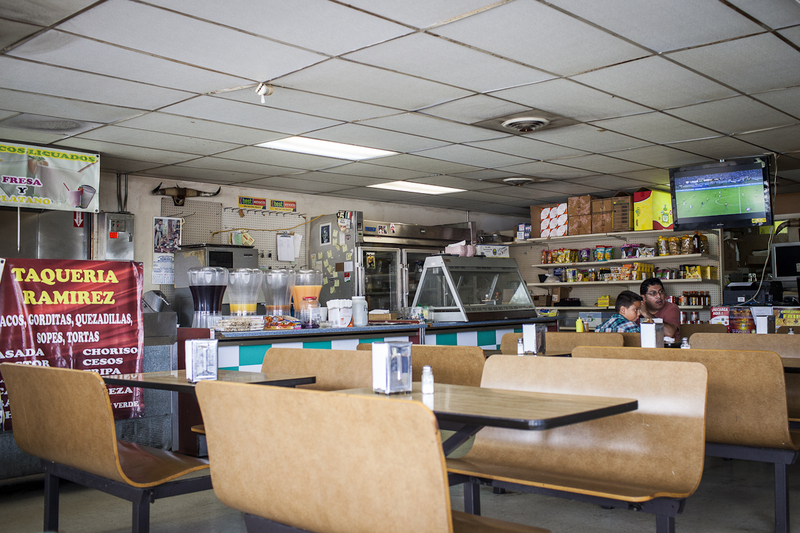 When they opened Tortilleria y Taqueria Ramirez 12 years ago, it was meant to be only a small grocery, selling tortillas and Mexican products. Before long, they were serving food and it became the family’s focus. They closed all of their other businesses. Though there were other Mexican restaurants in the Hispanic enclave of Cardinal Valley, they mostly served Americanized Mexican food. The Ramirezes wanted to share the foods they knew growing up in Mexico. I asked whether this “comida tipica” included burritos, and Mrs. Ramirez told me, “Of course!” adding that they eat burritos on the Zacatecas side of her home state of Guadalajara. At the Tortilleria, they use fresh, high-quality ingredients to mimic the flavors in Mexico. Her husband and son make the tortillas, a job more commonly delegated to women. “When [my husband] decides to do something, he achieves it,” Patricia said, speaking in Spanish, explaining that he’d brought machinery from Mexico to make the tortillas. The two men do everything from grinding the corn to hand-pulling the tortillas. Tortilleria y Taqueria Ramirez, with an almost non-existent Value Over Replacement Burrito score of 0.7, came to the attention of FiveThirtyEight’s Burrito Selection Committee through the first-hand experience of committee member Gustavo Arellano. A professor at the University of Kentucky had taken Gustavo there on a visit a few years ago, and he remembered his burrito in “Mexington” with great fondness. Based on FiveThirtyEight’s analysis of Yelp’s data, the South had the smallest number of burrito-selling establishments and generally the least chance of any region of producing the winning burrito. That made it a relatively easy decision to include this obscure restaurant. On my first trip it was an oasis in the burrito-barren South, leaving me with my fondest culinary memory in the region. It also received the highest score in the region, beating the closest competitor by 11 points. After finishing the South in Round 1, I spent many a long drive wondering whether Tortilleria y Taqueria Ramirez was spectacular or just so much better than the other burritos I’d eaten in the region. As I pulled up for my second visit, my salivary glands seemed to believe that even at a score of 91, I’d undervalued Ramirez the first time around. I had high expectations, but Ramirez exceeded them. The waitress set down a green plate, with a neat bundle atop. The star of the show was front and center: a house-made tortilla, griddled until it was crispy and flaking off on the outer layer. Inside, I found buttery carne asada, and a verging on magical American cheese that was oozy, tangy and creamy all at once. Spicy pickled jalapeños, fresh juicy tomatoes, creamy avocado and finely shredded white cheese created the perfect combination of salty and sweet. Scant Mexican rice and crunchy lettuce freshened up each bite without wiping out other flavors. Sure, there were a couple of things that could have been better: the crema and lettuce were cold, cooling off the warm ingredients. The jalapeños were cut thick, making the spice overbearing at times. But this is my kind of burrito, not at all contrived, every ingredient delicious and fresh. I ate the whole thing and longed for more (so I polished off the al pastor burrito that belonged to my eating companion). La Taqueria’s bright white façade and shiny terracotta floors look far less worn than those of most of its Mission Street neighbors. But don’t let the cleanliness fool you should you show up on a rare instance when there isn’t a line encircling the restaurant. 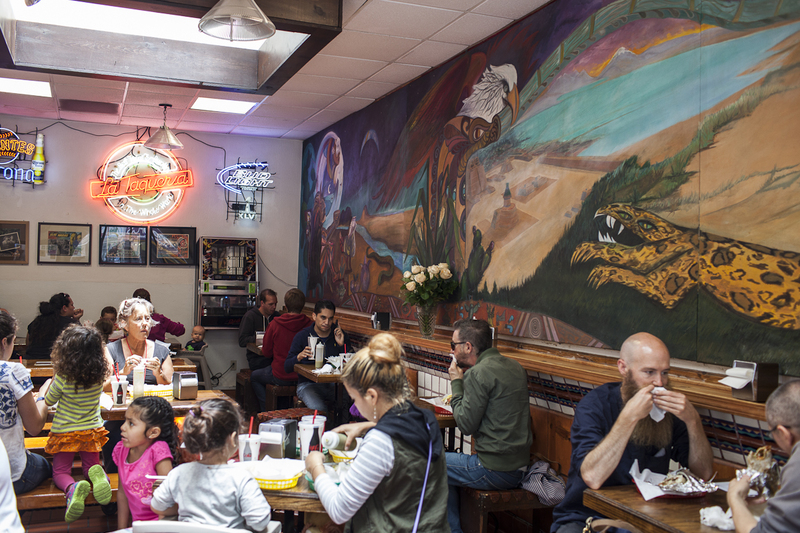 La Taqueria is insanely popular with old and new residents of this quickly gentrifying neighborhood. La Taqueria is the creation of Miguel Jara. Born in Tijuana, he’s owned a paint store and worked as a boxing manager and promoter. But his great love was always tacos. Although he’d never worked in a restaurant before, he wanted San Francisco to experience his beloved Tijuanan food. 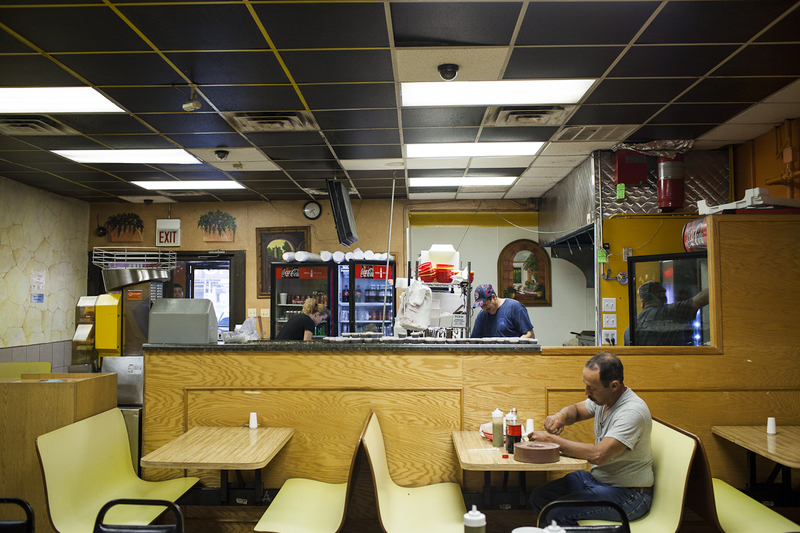 Since the restaurant opened 41 years ago, it’s amassed a loyal following, and a mosaic of awards covers the wall above the grill in the restaurant’s open kitchen. Jara says he doesn’t have room for any more. After a health scare in 2009, Jara turned over his stores in downtown San Jose and Las Vegas to his sons (keeping the location in the Mission because it’s his “baby”). Speaking over the phone in Spanish, Jara told me that the son in San Jose called him the day after he offered him the restaurant. “Papa, I hope you won’t be mad, but I don’t want to work as hard as you have,” and declined the offer. Jara says in the early years he worked from 5:30 a.m. until 9 p.m., and until two and a half months ago, he was still at the Mission Street location every day. But at 73, the sprightly father of seven claims he’s trying to slow down; he goes to the restaurants only on Sundays now. 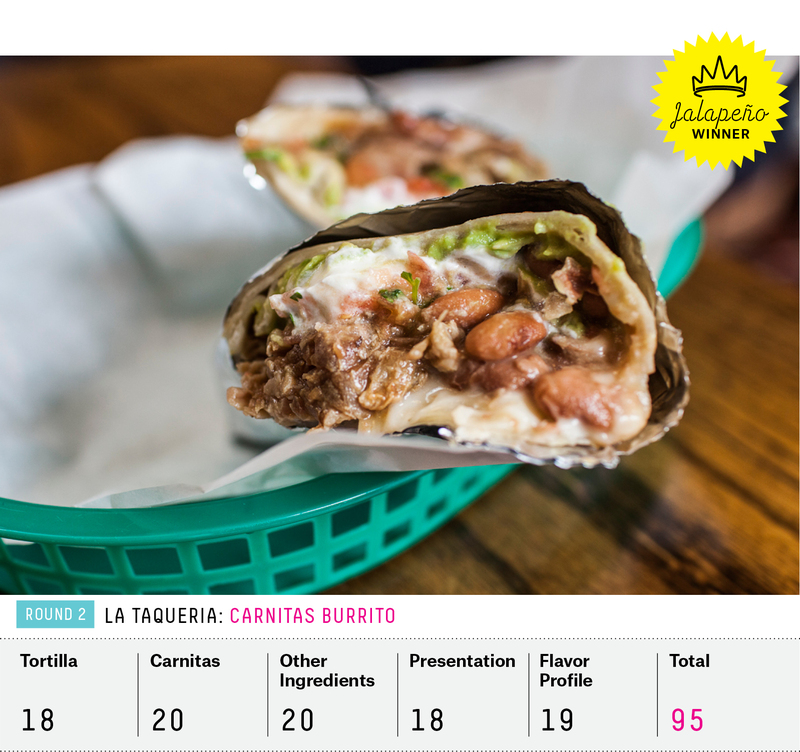 High price tags are often cited as a major flaw of La Taqueria (burritos start at $8, similar to other burrito bracket participants, but significantly higher than most other burritos in the Mission). According to Jara, it’s the price he must charge for high-quality ingredients, and to pay decent wages to his employees, many of whom have been with him for decades. 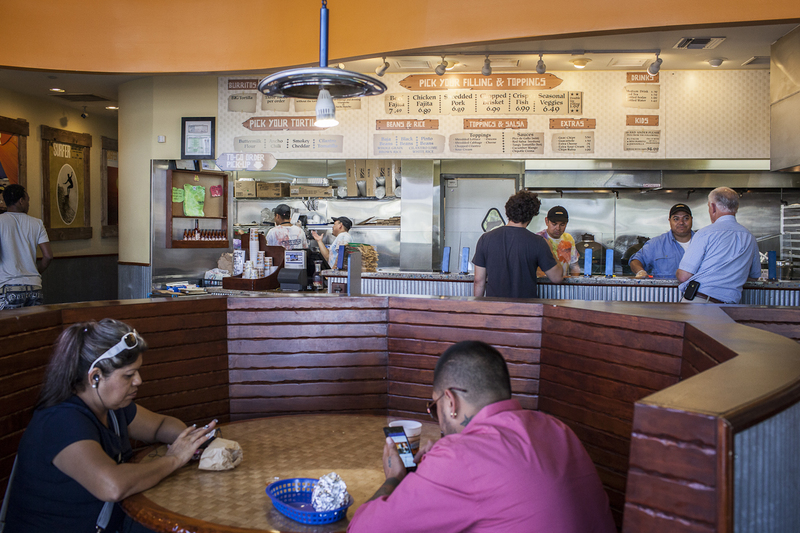 Bizarrely, the most controversial element of La Taqueria’s burritos is their lack of one of the world’s most widely consumed staple foods: rice. Throughout my travels this summer, I’ve been shocked at just how how divisive rice is. I’ve always thought it worked in some burritos but not others, but for many people it’s a make-or-break ingredient. La Taqueria is all about the meat, and uses a grainless combination of ingredients between the tortilla folds as a result. It’s an inspired choice; the bundle has a masterful liquid ratio. While other Mission-style burritos may be more filling, they also frequently succumb to my biggest burrito peeve: dryness. On my first visit, La Taqueria blew me away with its juicy interior, earning it the highest score in Round 1 with a formidable 98 points out of 100. It was also considered the favorite to win by multiple members of the Burrito Selection Committee. When it came time for Round 2, I waited in line, anticipating the wow of the first liquid-packed bite. And on first impact, I wasn’t disappointed as a swirl of pinto beans, guacamole and salsa hit my taste buds. But then I was met with enormous chunks of carnitas, so large they produced many meat-exclusive bites. I missed the flavor-spectrum-packed bites of my previous visit. It was still delicious, but like a teacher at parent conferences, I couldn’t help feeling a slight disappointment that it wasn’t living up to its full potential. Ramirez was a contender for the second best-burrito I ate in Round 2. If it had been in any other quadrant, it likely would have survived. La Taqueria, deservingly a favorite from the start, is taking the win for the Jalapeño Quadrant, and is headed to the finals.